The aggregate number of Macau casino dealers was up 1.7 percent as of December 31, the first year since 2014 there had been an annual increase. 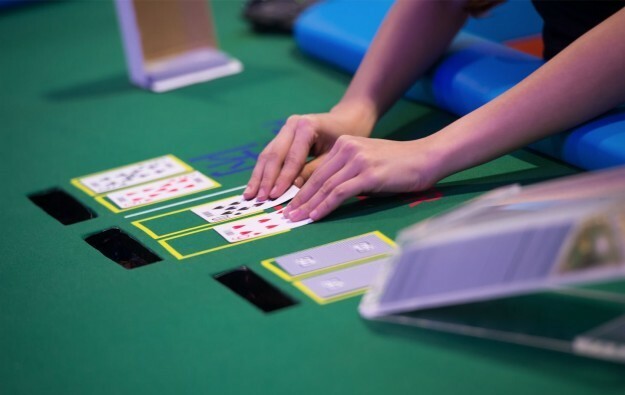 Measured from end-December, the Macau casino sector employed a total of 24,453 dealers for table games, according to the latest survey on manpower needs and wages of the gaming industry, released by the Macau Statistics and Census Service on Wednesday. For the whole of 2017, the tally of Macau casino dealers rose by 414, ending a trend of year-on-year consecutive decline that started in 2015. That year and in 2016, the number of casino dealers saw year-on-year contraction, measuring 4.4 percent and 2.4 percent respectively. That period also coincided with a downturn in casino gross gaming revenue, which some investment analysts had linked to mainland China’s anti-corruption campaign. The 2017 increase in Macau dealer numbers also coincided with a rise in the aggregate of licensed gaming tables in the market. According to Macau’s gaming regulator, the Gaming Inspection and Coordination Bureau, there was a total of 6,419 gaming tables in Macau in the fourth quarter 2017, 2.1 percent more than that in 2016. Only Macau ID holders can be Macau casino dealers, under a Macau government policy. The city’s unemployment rate for November to January stood at only 1.8 percent according to official data released last month. Meanwhile, the December average salary for a Macau casino dealer increased by 5.4 percent compared to December 2016, to MOP19,850 (US$2,460). In the fourth quarter of 2017, Macau’s gaming industry had a total of 57,207 full-time employees, an increase of 1.4 percent year-on-year. The figure excluded people working for VIP gambling junket promoters and junket associates. Macau casino industry job vacancies tallied 460 in the fourth quarter, 95 fewer than that in the same period last year. Among the vacancies, 100 were for casino dealers, according to the statistics service.